The weekend is almost here! Can you feel it? I sure can. One of my favorite things to make on a Saturday or a Sunday morning is poached eggs. Poaching eggs is rather easy but there is a shortcut I often use: poach pods I have from my freelancing for Robyn Webb. This recipe for an Easy Decadent Breakfast aka My Version of Green Eggs & Ham showcases another kitchen toy: 3.5 Quart Covered Asparagus Pot with Steamer from Circulon. But wait! 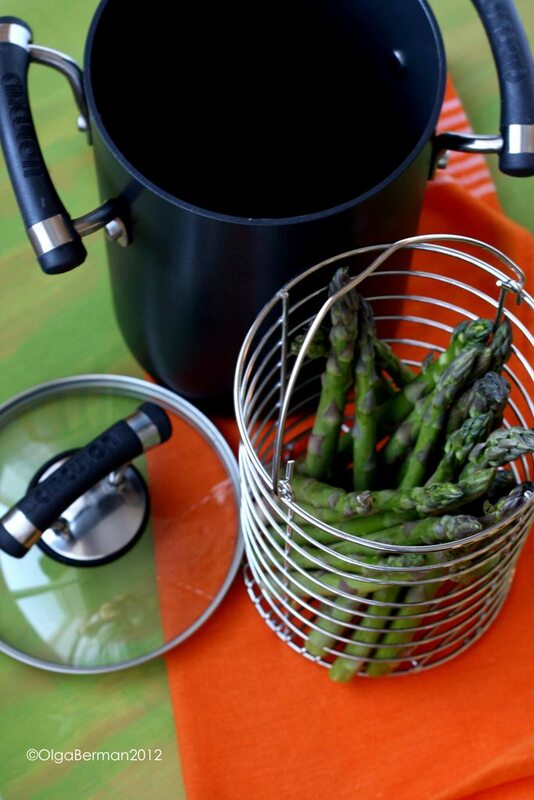 Why would you want a pot just for asparagus? You are right, you don't! With a little imagination, however, you can think of quite a few extra ways to use this pot. 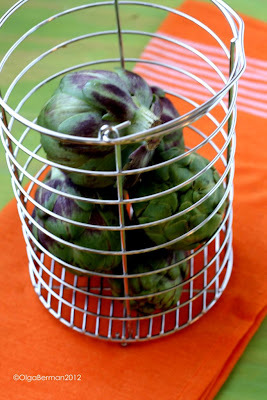 You can clearly use it for steaming or boiling asparagus, but you can use it just as well to steam artichokes, broccoli, Brussels sprouts or boil corn, potatoes, carrots, etc. You get where I'm going with this, yes? Plus, because this beautiful pot has a very small footprint, it comes handy when your stove's other burners are occupied with large pans and pots. You can also use this pot to boil pasta! 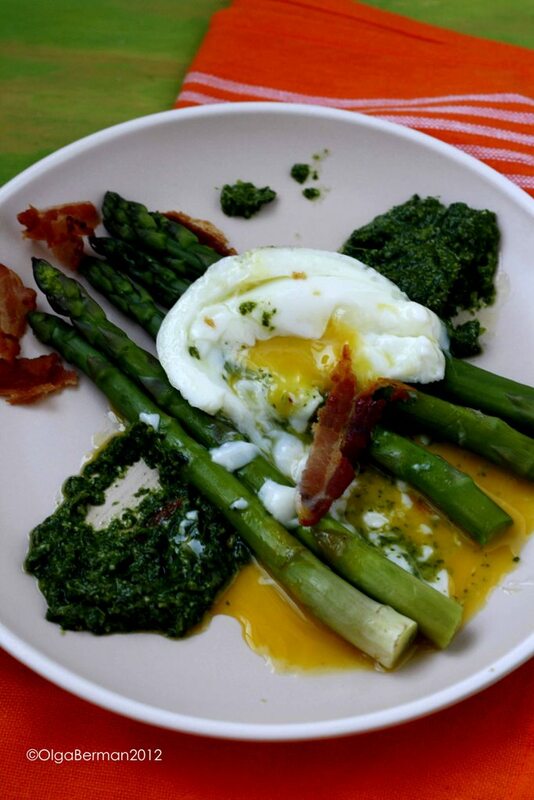 Should we talk about My Version of Green Eggs & Ham: Easy Decadent Breakfast now? 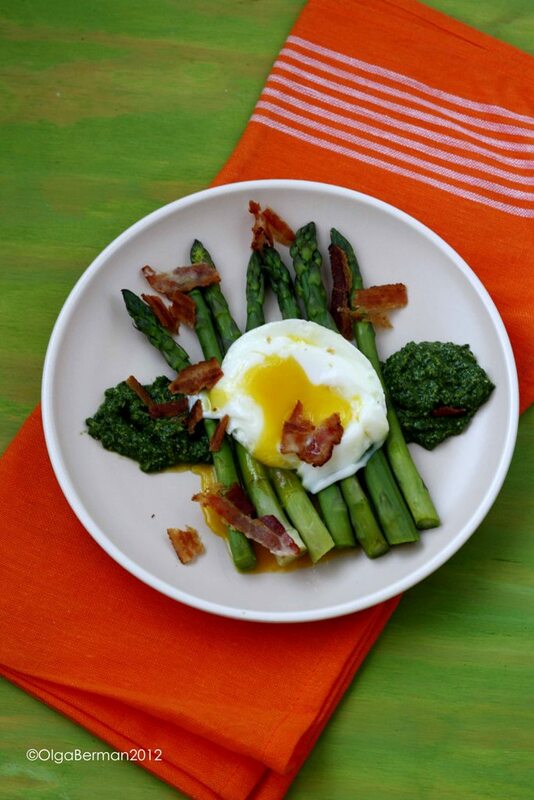 Smear a bit of pesto on a plate, top with steamed asparagus, poached egg and crumbled bacon. Disclaimer: I was provided with the Asparagus Pot for a preview but was under no obligation to write about it and received no compensation for this post. 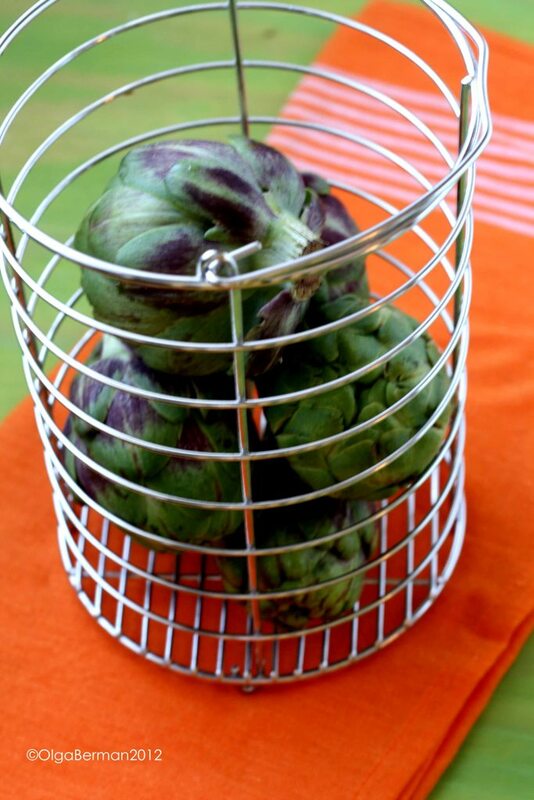 Ooh I wouldn't have thought to put artichokes in there. That is a great idea. And I love those poaching pods... they make poaching eggs so much easier. That yolk looks gorgeous. Such a great classic dish - the egg came out perfectly! 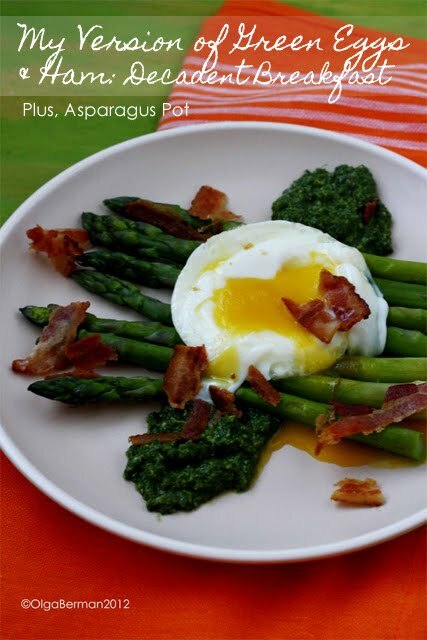 Egg and asparagus is one of my favoruite combinations. Do the poach pods work really well? I like how it is easier and you don't have to heat a huge pot of water and add vinegar, but it kinda looks weird when they're such perfect circles!